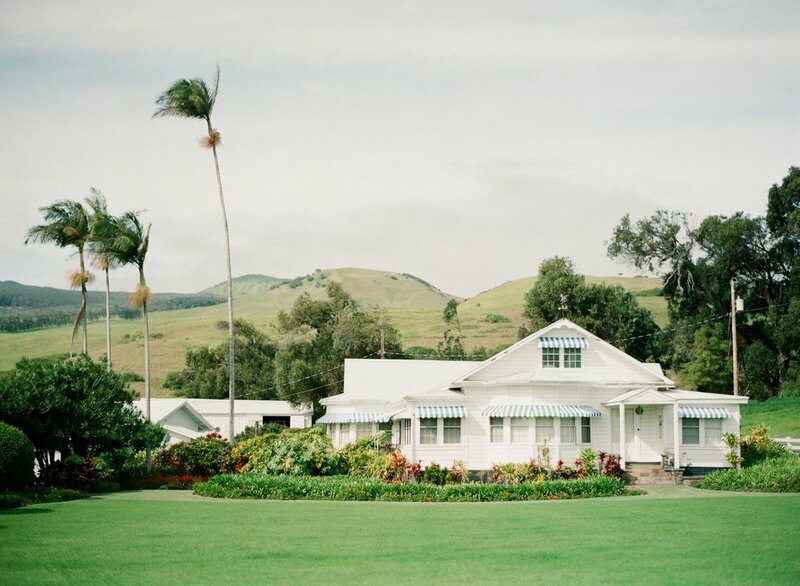 Nestled beneath the lush green hills of Waimea sits a very special place – steeped in beauty and rich in history. Listed on both the National and State Registry of Historic Places, a visit to Anna Ranch will leave you with a genuine feel of Old Hawai’i. Step into history and hear the story of one of Hawai'i's most beloved community leaders. A pa'u queen, award winning jockey and a hard working cowgirl, Anna's story will leave you amazed and inspired. Boasting views of the Kohala Mountain foothills, expansive gardens and Wai'au'ia Stream, Anna Ranch is the perfect backdrop for your special day. Leaving your guests with the feeling of Old Hawai’i. Whether it is an art class with local artist, Annabel Spielman or quilting with the Anuenue Quilter group. Weekly classes provide the Waimea community with numerous chances to experience Anna Ranch.